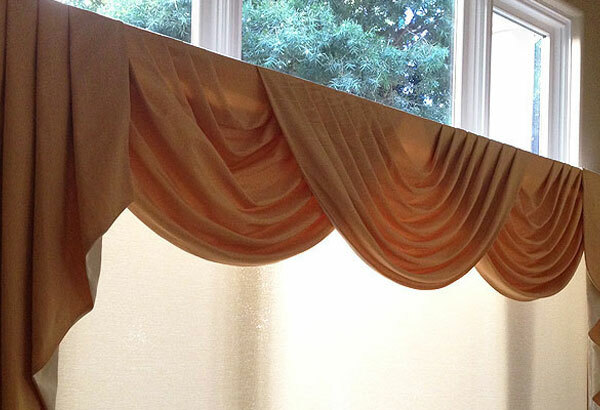 Drapery Land offers reasonably-priced, high quality custom draperies to Carlsbad, Vista, Poway, and surrounding areas. Our family-owned company has over 30 years of experience in designing, installing, and repairing a wide range of window drapes, panels, and curtains as well as blinds, shutters, and shades. As a C-61/D-52 licensed window coverings installer, we have received specialized training in window covering installation and repair, and always use the industry's best practices on every drapery installation and repair. Thousands of satisfied customers throughout San Diego County return to us time and again because they trust us to provide exceptional workmanship and personalized customer service at affordable rates. We enjoy staying up to date with the latest trends and styles, and carry premium drapery fabrics from leading manufacturers like Kaslen, Fabricut, Robert Allen, Duralee, and Carol Fabrics. Draperies not only provide extra protection from light, heat, and sound, but can also add color, style, and richness to any room. 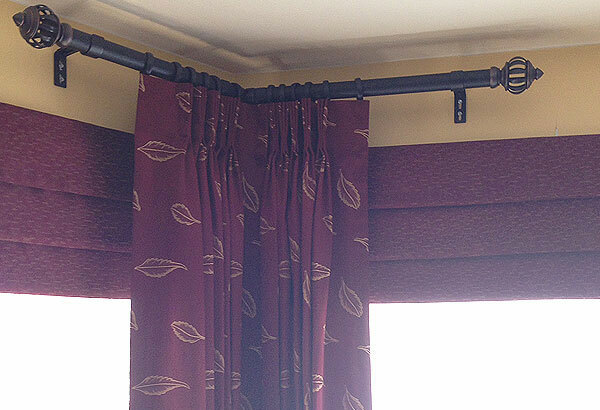 At Drapery Land, we are experts in designing drapes to complement windows and doors of all sizes and types. Our reliable technicians have a minimum of 20 years of experience each, including extensive factory experience that gives them in-depth knowledge on how window coverings of all kinds are fabricated. They use accurate measurements and impeccable attention to detail to ensure outstanding results every time, whether you are most concerned about enhancing your view, protecting your privacy, or bringing beauty into your home or business. 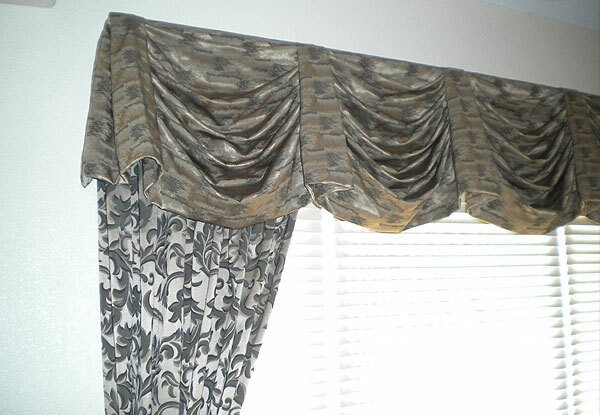 We also offer convenient and cost-effective drapery repair services. While we have the tools and equipment to complete most repairs on-site, major repairs require us to dismantle your draperies, ship them back to the factory, and reinstall them upon completion. All of our custom draperies and curtains can be tailor-made to suit our clients' needs, budgets, and aesthetic preferences. During an on-site consultation, we bring a broad selection of style books and fabric swatches for you to peruse, and can provide expert guidance on choosing the ideal products for your intended usage, look, and budget. 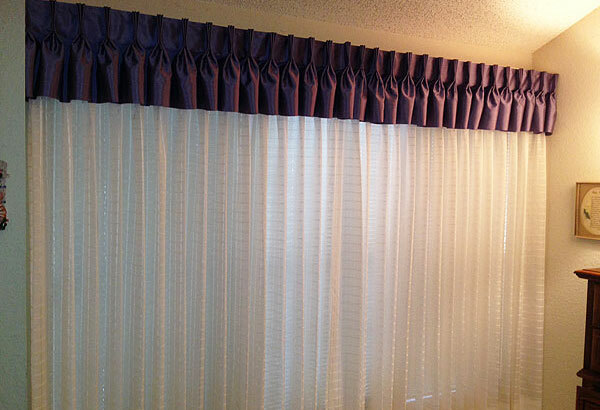 Some of our many options include pleated or gathered curtains, grommet draperies, insulated drapes, cord pull or wand pull drapes, motorized draperies, and more. We also sell an extensive selection of decorative hardware such as rods, poles, finials, end caps, holdbacks, tiebacks, brackets, rings, mount sockets, and wands. Styles range from renaissance, to traditional, to contemporary, and can be special-ordered in a variety of attractive colors and finishes, such as metal, wrought iron, and wood. We offer quick turnaround times to all of San Diego County, including Vista, Carlsbad, Poway, San Marcos, San Diego, and nearby areas. Because we keep our overhead low, we can offer prices that are significantly less than most of the big chain stores. Give us a call today to receive a free phone estimate or schedule an on-site consultation. If you aren't sure what style you would like, our experienced sales staff will be pleased to answer any questions you might have, and direct you to the best window coverings for your needs.